Ever since I saw the photos in FB, I’ve been wanting to place order for the Karipap Bai sold via FB but till now I’ve never had a chance cos I’m always not able to get any … it’s always sold out by the time I saw the post. So last week, while at Phoon Huat, I bought the pastry margarine and today, yes today, finally I had the chance to try my hand at making my very own Karipap Bai. Thanks to a blogger, BitterSweetSpicy for sharing the recipe with a very detail pics on how to go about making it. I finally did it!!! The fillings … made of potatoes and minced chicken meat. 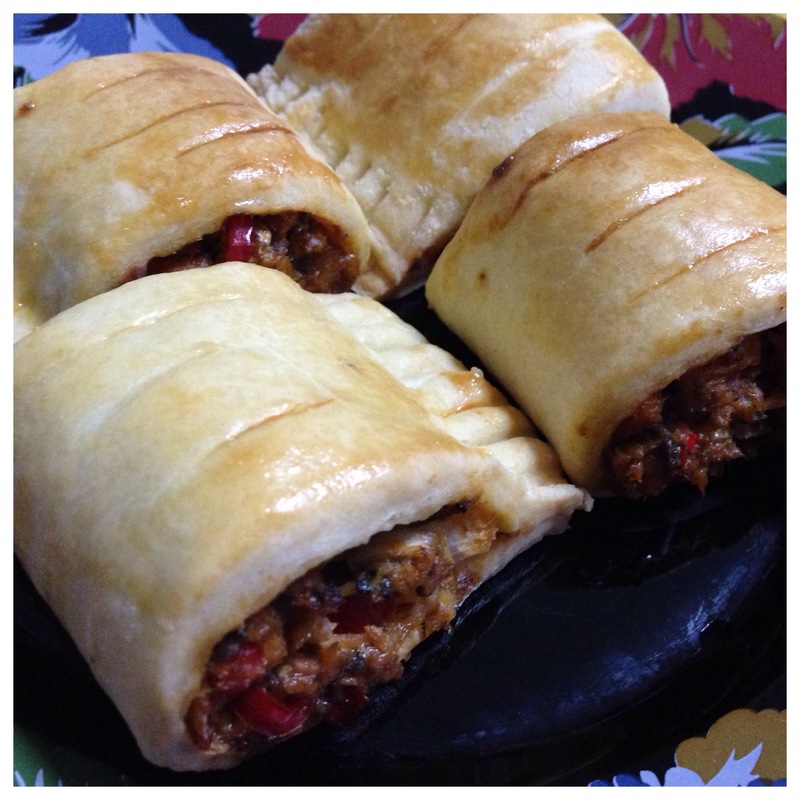 Besides that, the knowledge that I am able to do it … making my very own karipap … that knowledge acts like the toppings to the satisfying snacks just now. Finally … ready to be served! It’s a simple recipe that requires the use of shortcrust pastry and sardines fillings. Cut butter into small cubes. Rub the butter with the flour using your fingertips till they becomes crumbs like. Add the water bit by bit, mix till it becomes a dough. Roll out the dough into a square. Cut it into two. Put half of the fillings along centre of each pastry strip. Wet edges with water. Fold the pastry over and seal the edges. Press edges with a fork. Cut into 4 cm pieces. Make two slits on top of each piece. Bake at 190 degree C, for about 20-25 mins. 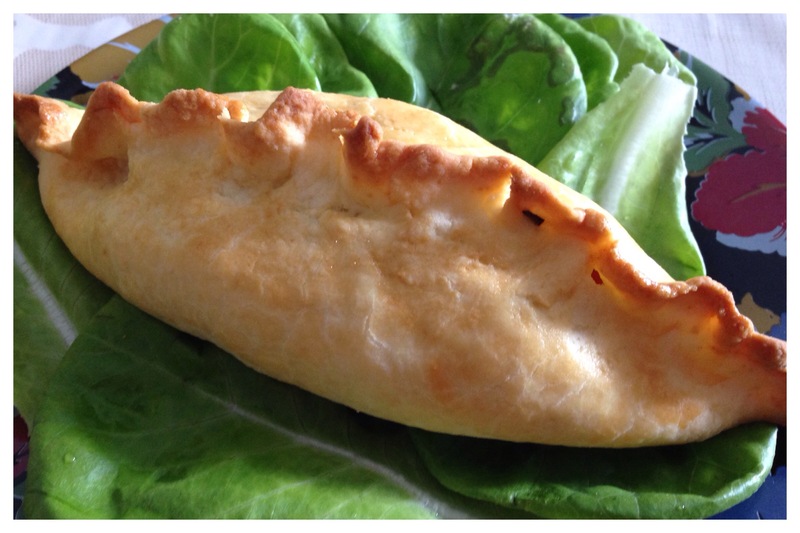 Made the Cornish Pasty around 9 am just now. The mood strike HOT!!! so without further ado I went ahead with my mission. I have loved eating Cornish Pasty since young. But this will be the first time I’m making it on my own. Usually, I would just buy from the Sweet Secret shop in JB. Most of the Cornish Pasty I ate before, are soft and crumbling. This time, the ones I made are firm and hard like biscuits. I believe this is the original version of the pasty. From what I read online, during the older days, miners and workers brought these pasties to work. 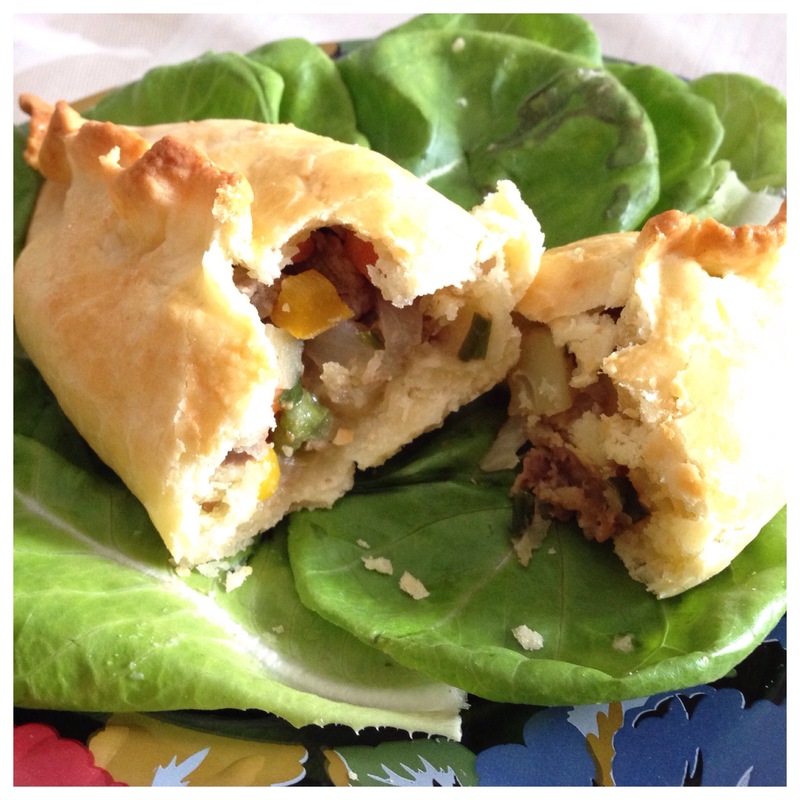 The pasties were described as firm and hard enough to be put into pockets yet delicious to eat. Indeed, the ones I made today are just as it was described. It is firm and hard to the touch and yet when bitten, it was just like a biscuit, once it goes into the mouth you can taste the flavour and it crumble nicely as one chew on it. The fillings are simply tasty. Overall, I love this recipe and going to add this to my personal collection. Pour the flour into a bowl, season with salt, then using the rubbing-in method, rub the butter with the flour. Add about 200 ml of water or more (depends and use bit by bit), to quickly mix it up. Mix till it become a dough. Do not overwork the dough, just squeeze, hug and pat on it to ensure it binds nicely. Preheat oven to 190 degree C.
Add all ingredients in a saucepan, fry for about 5-8 mins. Stir well and leave to cool. Cut the pastry into 10 equal pieces and roll each one into a ball. Dust a clean surface and a rolling pin with flour. Pat and push each piece of pastry out to the thickness of a coin, dusting and turning as you go. Repeat till all are round in shape. Add filling to the middle of each pastry, brush the edges with beaten egg and fold the pastry over the flling to make a semicircle. Crimp the sides as you wish. Put into the baking tray which has been dusted with flour. Brush with the eggs before baking them into the oven. Bake for about 20 to 25 mins or until golden brown. The pasties before baking … I made two different designs for the crimping.